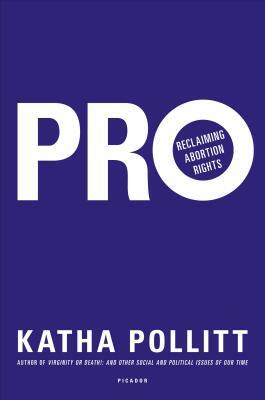 In this urgent, controversial book, Katha Pollitt reframes abortion as a common part of a woman's reproductive life, one that should be accepted as a moral right with positive social implications. In Pro, Pollitt takes on the personhood argument, reaffirms the priority of a woman's life and health, and discusses why terminating a pregnancy can be a force for good for women, families, and society. It is time, Pollitt argues, that we reclaim the lives and the rights of women and mothers. Katha Pollitt, the author of Virginity or Death!, is a poet, essayist, and columnist for The Nation. She has won many prizes and awards for her work, including the National Book Critics Circle Award for her first collection of poems, Antarctic Traveller, and two National Magazine Awards for essays and criticism. She lives in New York City.